It’s time to Share My World! 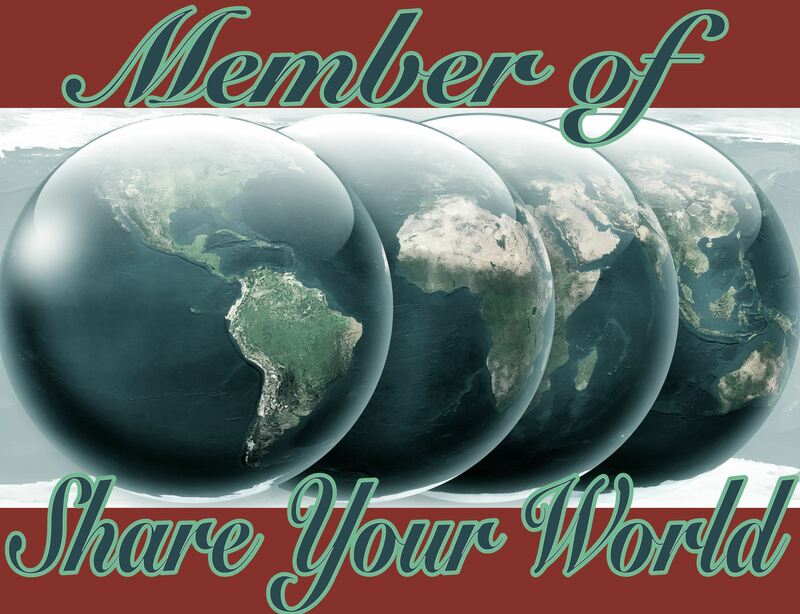 Share Your World is hosted by Cee at her photography blog. Is the paper money in your possession right now organised sequentially according to denomination and with the bills (that’s “notes” for those in the UK) right side up and facing the same way? Yes, of course. Because that’s the way I roll. Sometimes if I’m feeling really rebellious I might turn one of them upside down. Then I’ll get upset and turn it the right way up again. Ooh, can anywhere guess where I’d go on a cruise to? That’s right! New Zealand to see the Hobbits. There’s probably a special “Hobbit Cruise” or something I could sign up to. Because firstly, it’s not haunted. And secondly, if by some chance it actually is haunted, it might be quite cool to meet a ghost. As long as it’s a friendly ghost. Like Casper. But it might be an unfriendly ghost. Like in “Poltergeist”. DON’T GO INTO THE LIGHT. It might try to kill me. It would be horrific. And terrifying. I’ve changed my mind. No, no I wouldn’t. Yes, they are all from the toilet roll offer. 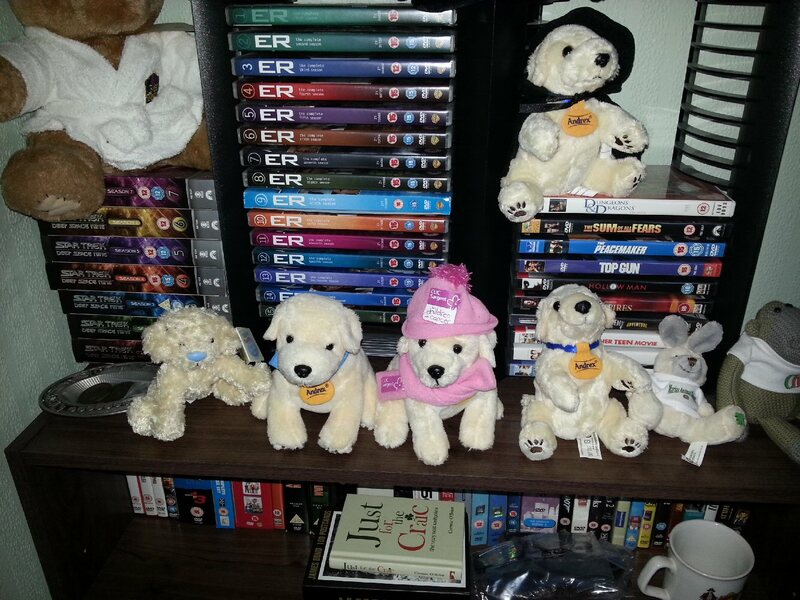 Awww, love the dogs, I adore the one in the pink hat and scarf 🙂 I’d definitely do the haunted house stint – my very own Most Haunted episode. Cool! Good luck in the haunted house! I realised that though most people don’t actually believe in certain things, we still seem to have an in-built “switch” that says “best not risk it, though”. Yep 🙂 Scared – good. Reckless – bad. My house is haunted. Seriously, my dad is here often. You’ve got every season of E.R.? Yep. It’s cool! I never saw it when it was on the TV. I’m not even sure which channel it was on. I decided to try a series and really liked it. It was on NBC (U.S.), starting with a two-hour pilot on 19 Sep 1994, and ran from 22 Sep 1994 to 2 Apr 2009. Thinking back it was on either Channel 4 or E4 (Channel 4’s second channel) here (UK), I think. That would be okay then, as long as he’s quiet when I want to get some kip. Think of all the stories he could tell me! Do they have cruises to New Zealand? I’d sign on for that! Thanks for brightening my day … and reminding me I hadn’t met this challenge. The week’s nearly over! I either got the email and deleted it — maybe it went to spam — or I didn’t get it. I’ve always wanted a long sea voyage. Like in the books I read, where you and the other passengers are trapped together for weeks and anything can (and usually does) happen. It’s mystery time!! Many a good mystery has been set on a boat in the middle of the ocean (and many a good disaster too). A nice relaxing cruise with a bit of intrigue thrown in sounds cool. I definitely agree with the cruise to new Zealand. A ‘Hobbit Cruise’ sounds like great fun! WoW! Were these questions revealing! 1) Having to have ordered money? Loosen up! 2) So many pets, but no pet food? Wise in a peculiar way? 3) I thought- WHAT A MAN !!! with the haunted house- but then you blew it? 4) AWESOME! I would love the see the Hobbit;s Homes too!!! I’ve been away from the computer world for a while. It’s nice to be back. I like my money nicely ordered! Though that usually just consists of putting the ten pound note behind the five pound note. I enjoy you writings. Thanks for the comments.